Whup-whup-whup-whup-whup. 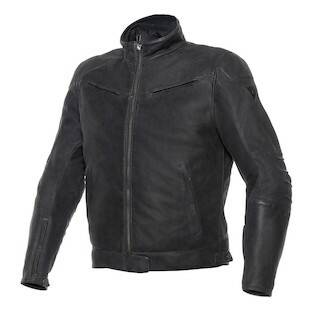 That, my friends, is the sound of the Dainese Black Hawk Leather Jacket swooping onto the market. Alright, so that’s more of an onomatopoeia, but you get the idea. While previous Dainese offerings may have appealed to the sport oriented Ducati Monster rider, the Black Hawk screams out to the guy on the Diavel. Your power cruiser just got a new co-pilot. A closer look at the Black Hawk reveals a lot to like, with only a smidge for Dainese to improve upon. The cowhide shell is soft right off the hanger, so you won’t feel constricted for the first few rides. Liken it to a new baseball glove that doesn’t require you to tie it up and stash it under your mattress. 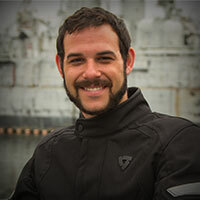 The sleeves have a much less aggressive pre-curve to them when compared to the majority of the Dainese line, which solidifies the Black Hawk as a perfect jacket for cruising. Dainese gives you plenty of options to upgrade the protection as well, with a pocket for a Manis back protector and even a pocket for chest armor. A stand-alone thermal vest liner rounds out the main feature set, although admittedly we would have liked that liner to be that of the full sleeve variety. To me, the Black Hawk gives guys a truly premium cruiser jacket that was previously a bit scarce. And I do mean premium. At just over the $600 mark, this jacket is no doubt an investment. Although that is downright cheap when you compare it to the $21 million it costs to buy the Black Hawk’s aviary namesake. Really puts things into perspective doesn’t it? Overall, I would say that Dainese nailed the style and functionality that they were going for, and it’s certainly great to see a different look from the masters of sport. If you have the Black Hawk in your sights, I say fire away.